Blood clotting is healthy and necessary when it stops unwanted bleeding, but blood clots can form inside arteries, blood vessels, or the heart. 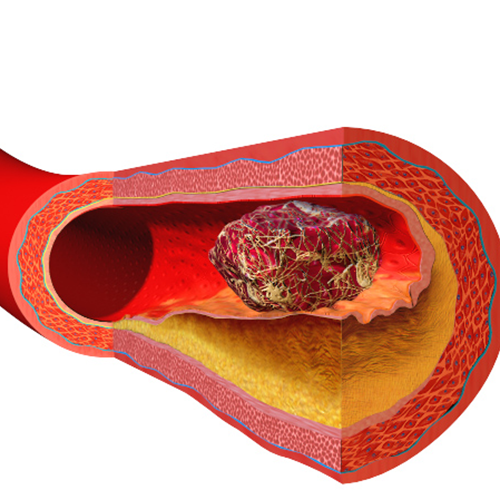 If a clot travels to the heart or lungs, it could become dangerous. Platelets play an important role in the clotting of our blood as well as the inflammatory process that brings additional aid to an injury site. But it is important to suppress the over-activity of platelets to avoid internal blood clots and the type of unwanted inflammation that can support heart disease, cancer, and other inflammatory diseases. To reduce risk of blood clots, it is important to consume foods that suppress platelet activation. Garlic, tomatoes and berries may help with anti-platelet activation.